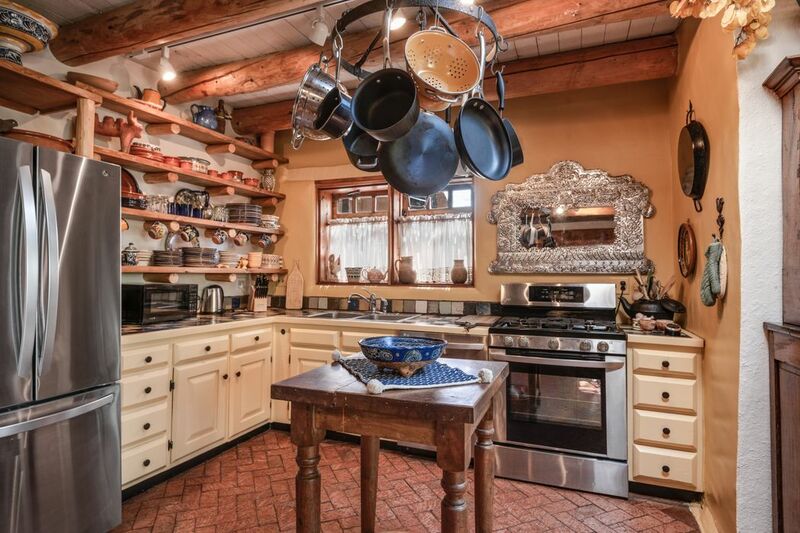 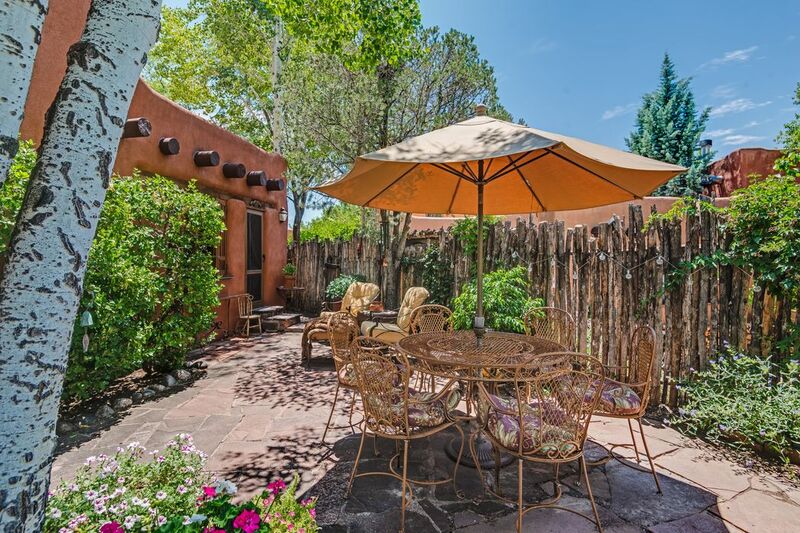 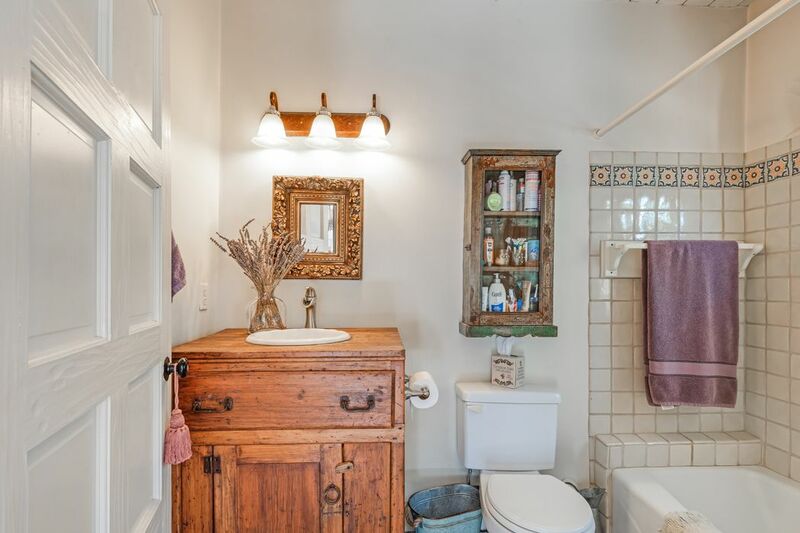 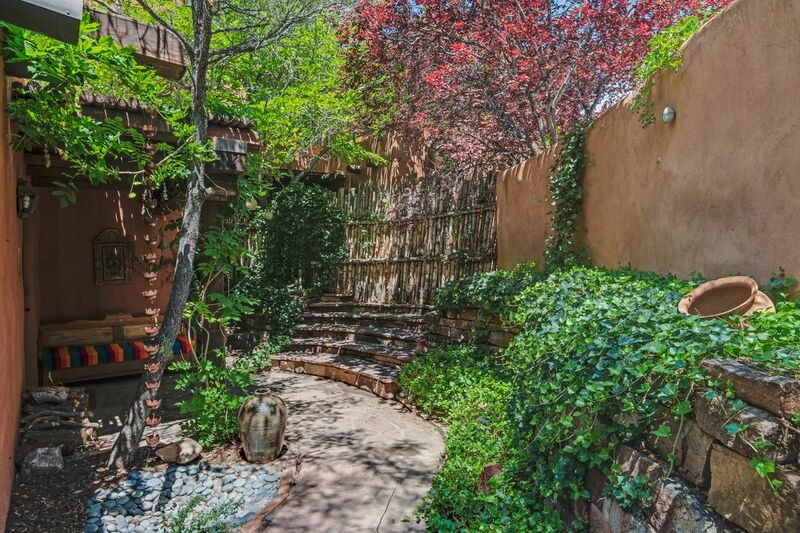 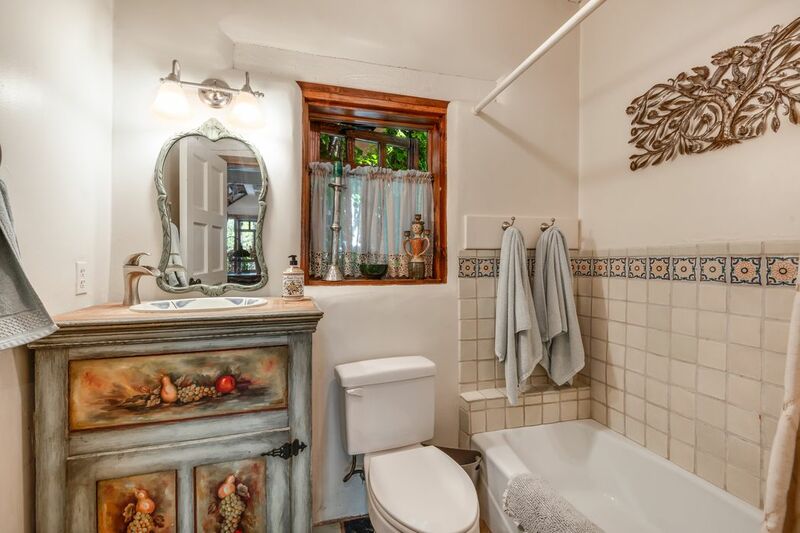 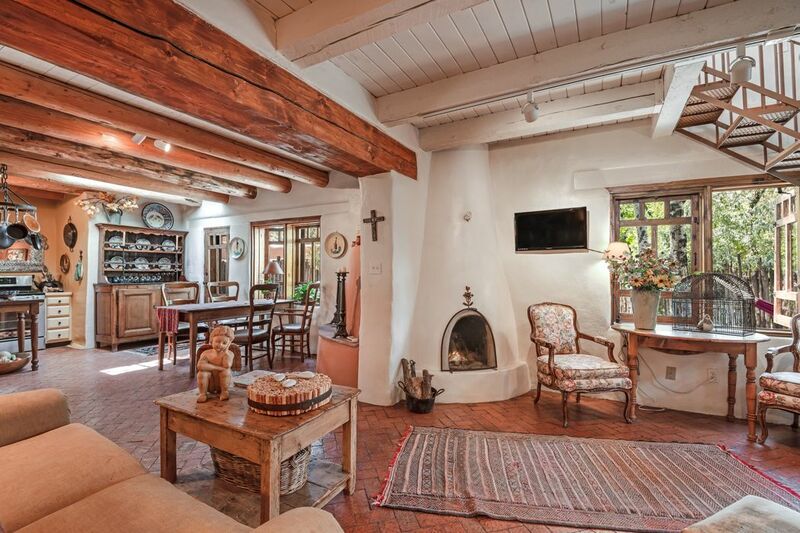 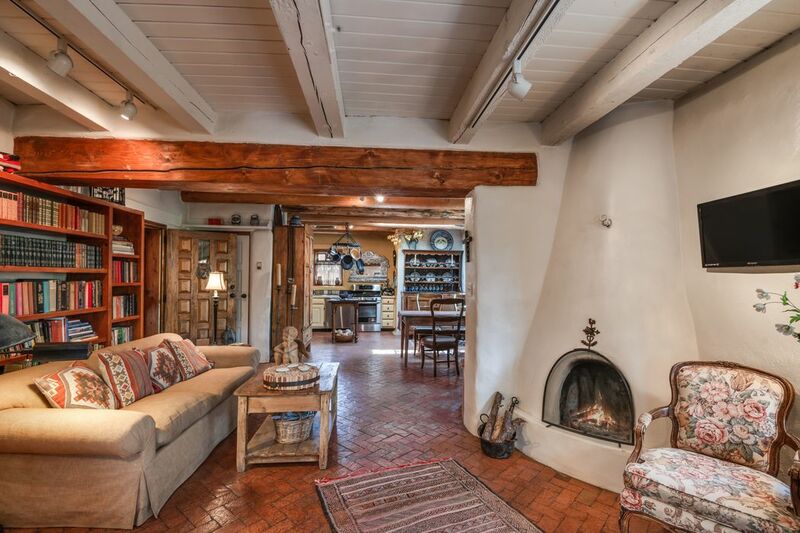 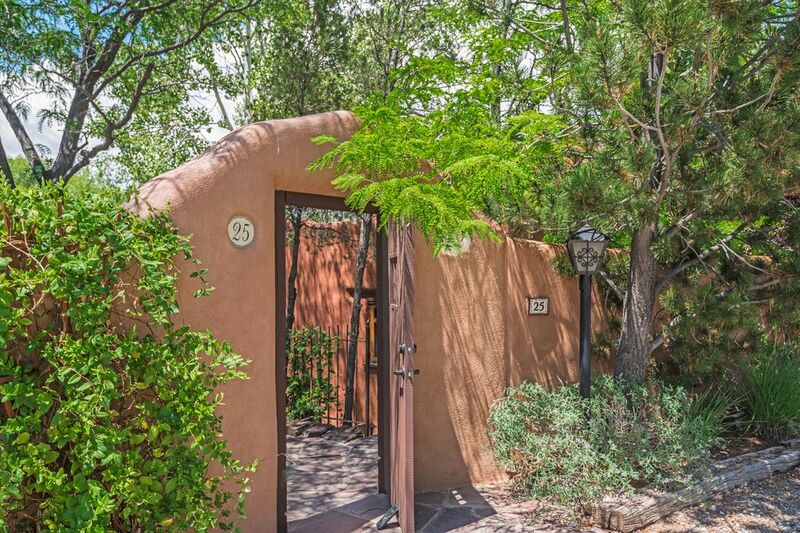 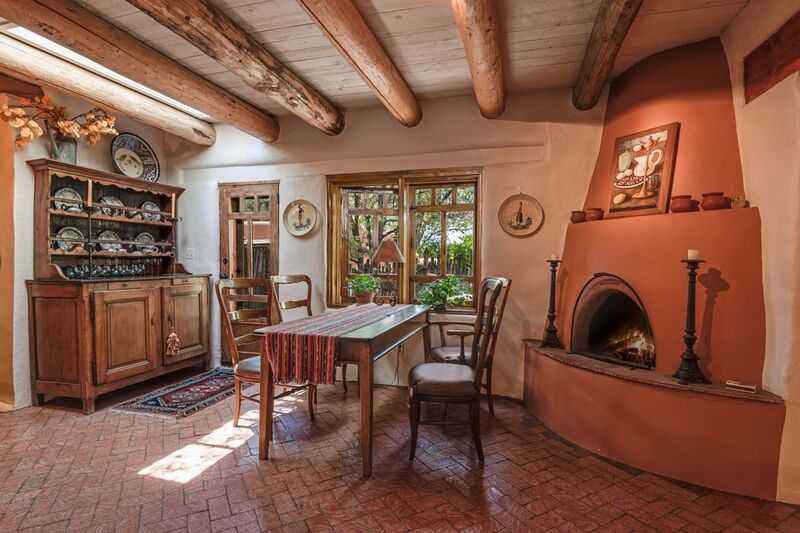 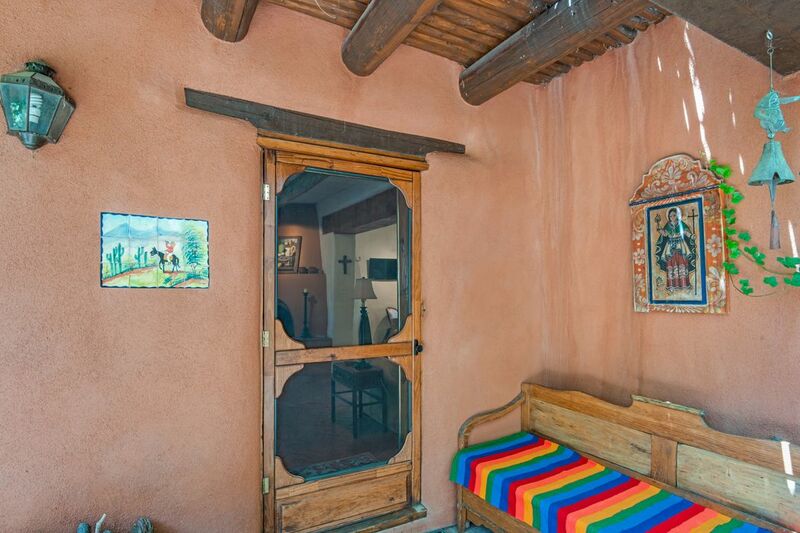 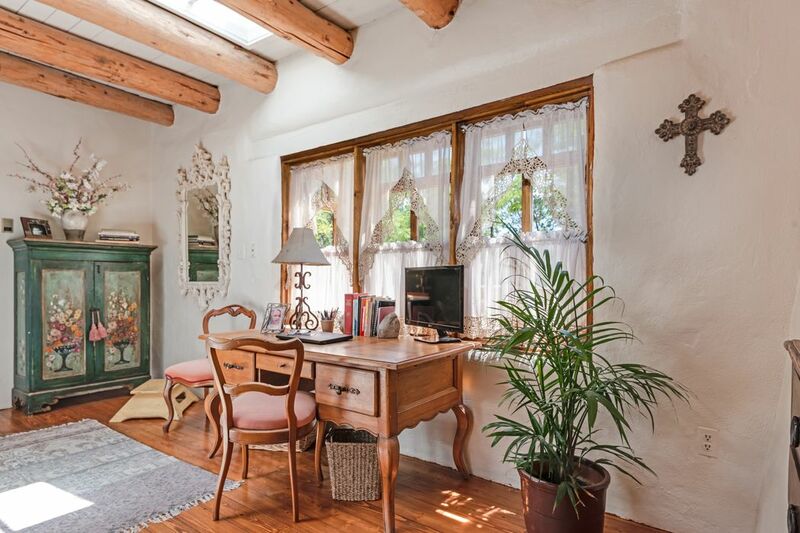 815 E. Palace Avenue #22, Santa Fe, NM 87501 | Sotheby's International Realty, Inc.
Classic Santa Fe in the prestigious Llano Compound sits this authentic hand made Adobe Condo nestled in a lovely garden. 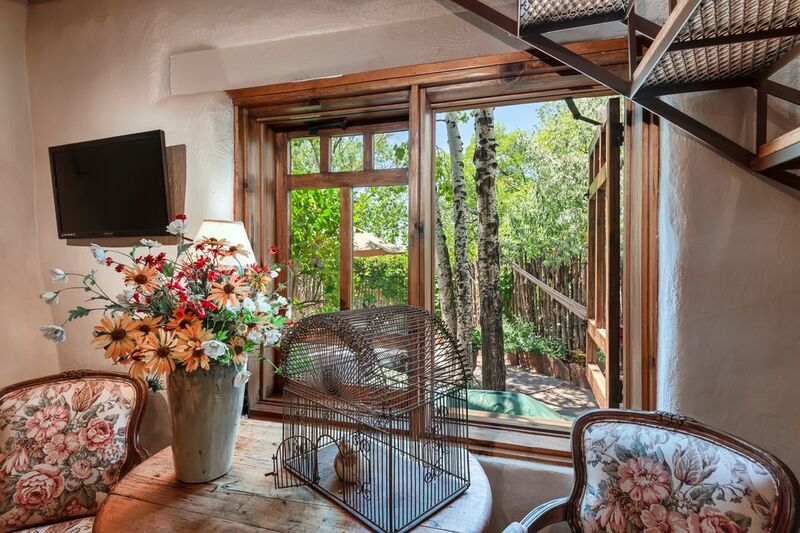 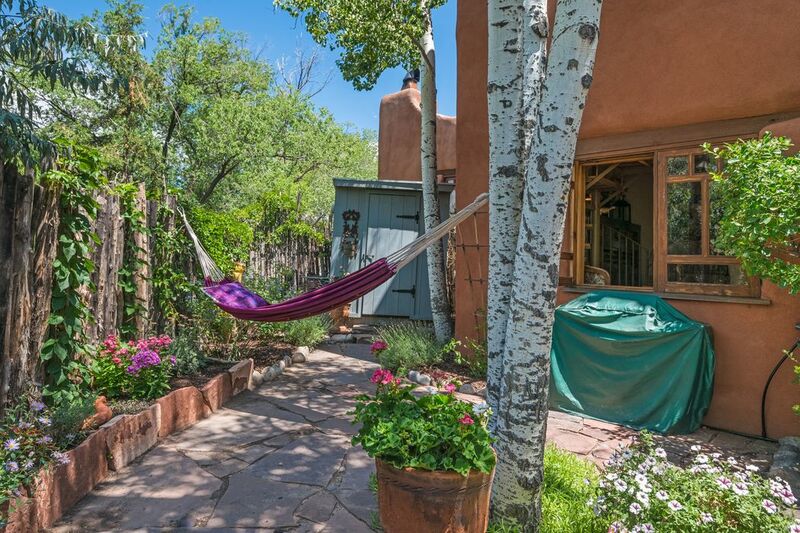 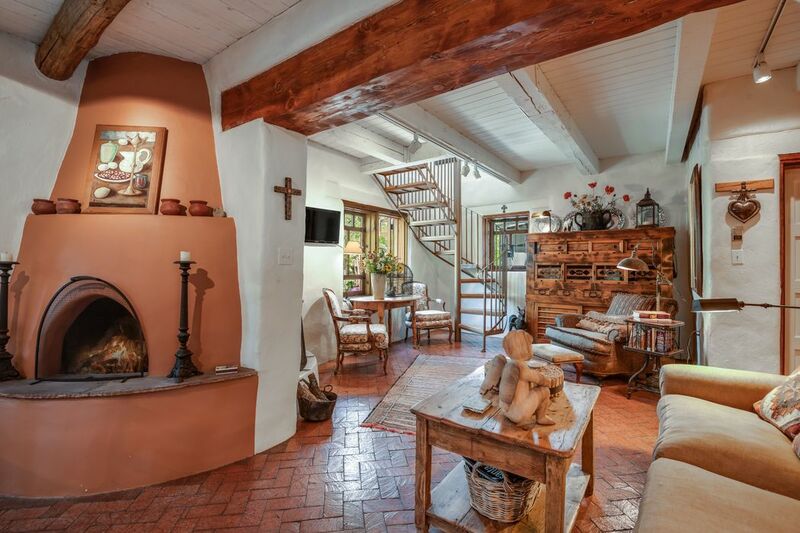 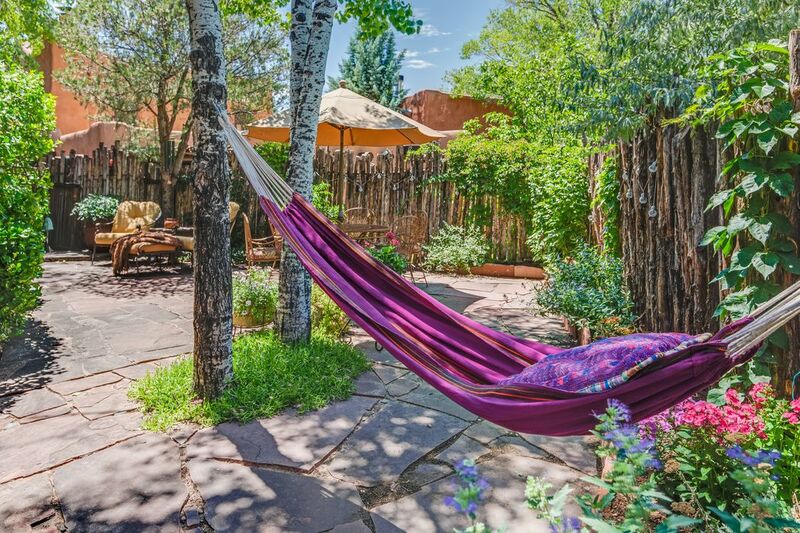 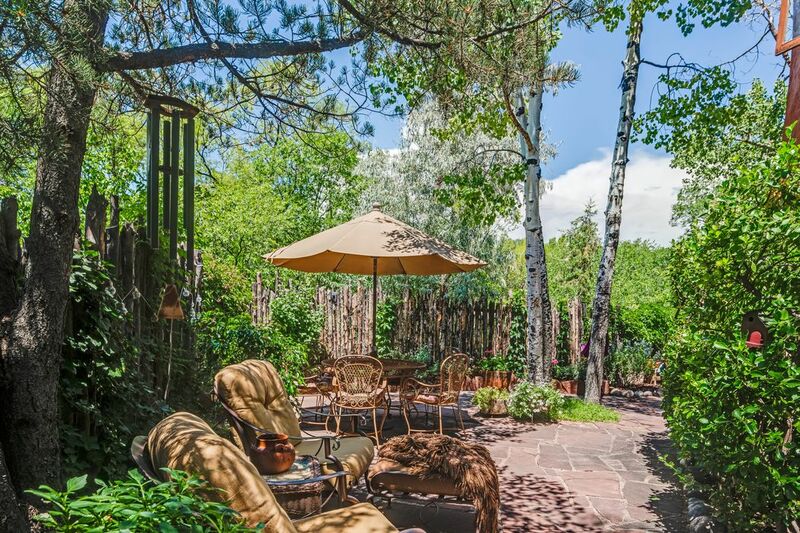 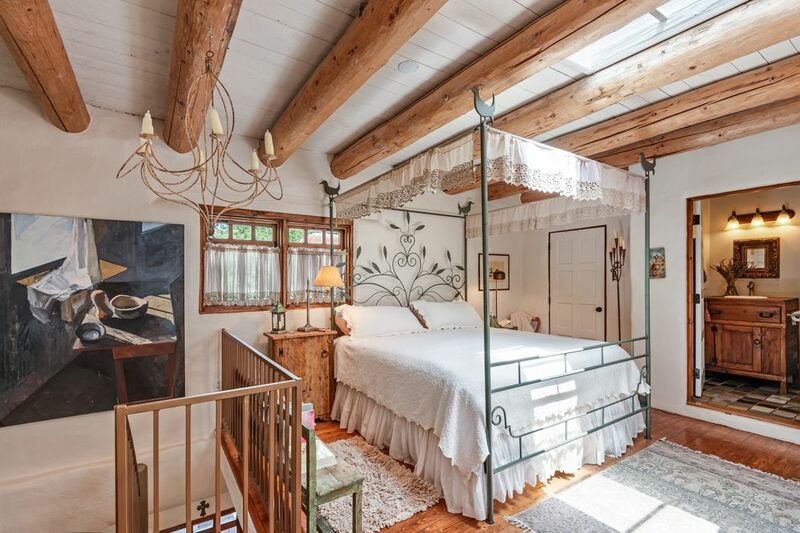 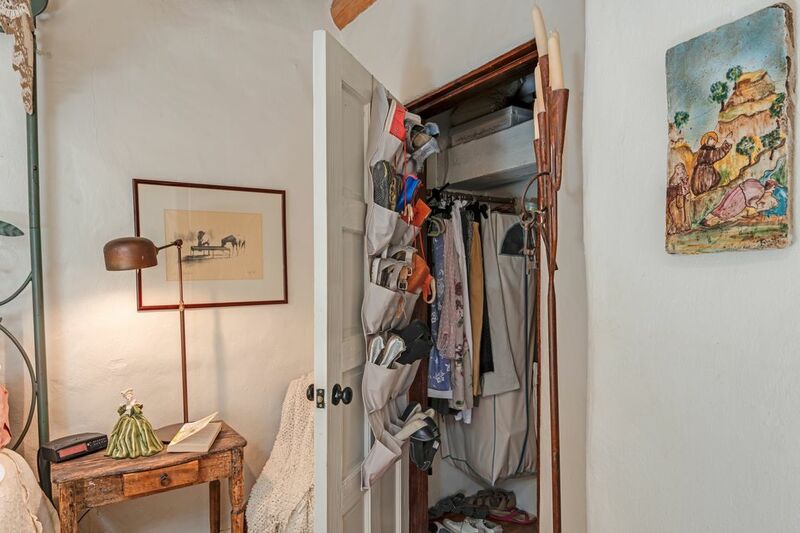 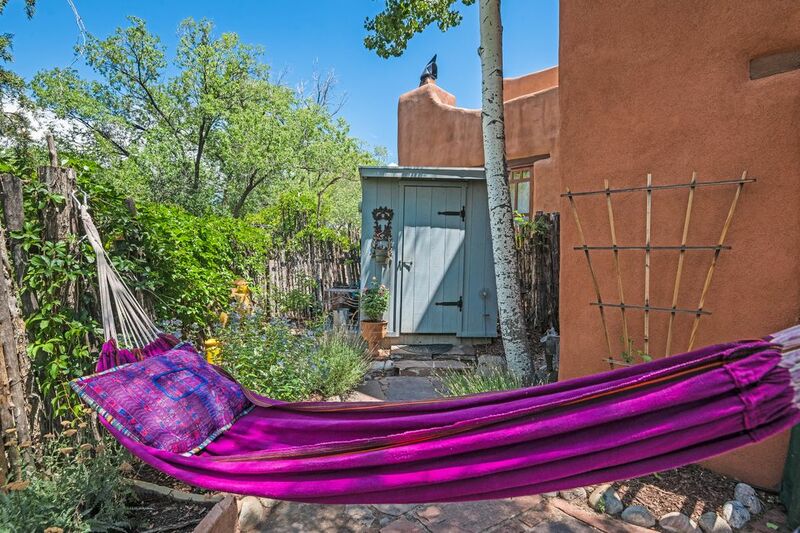 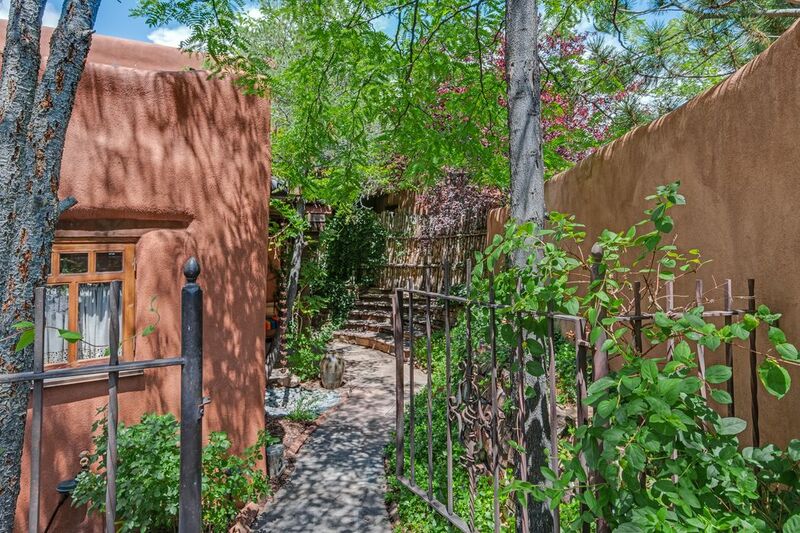 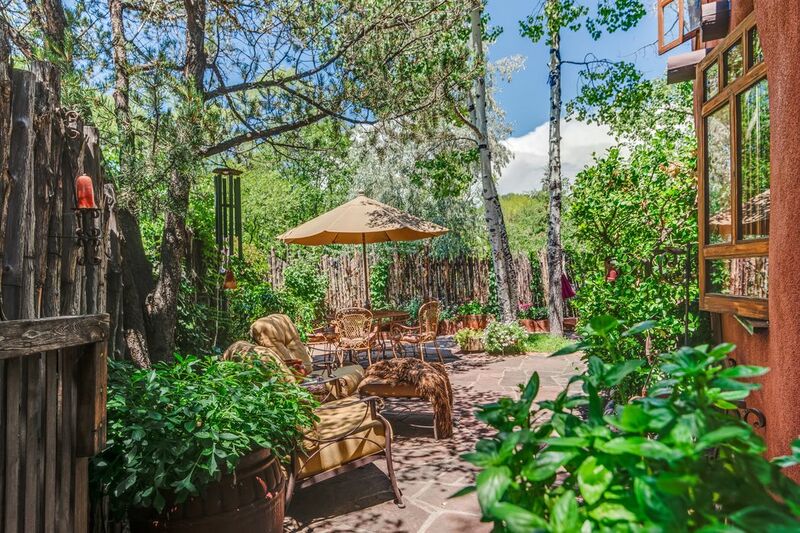 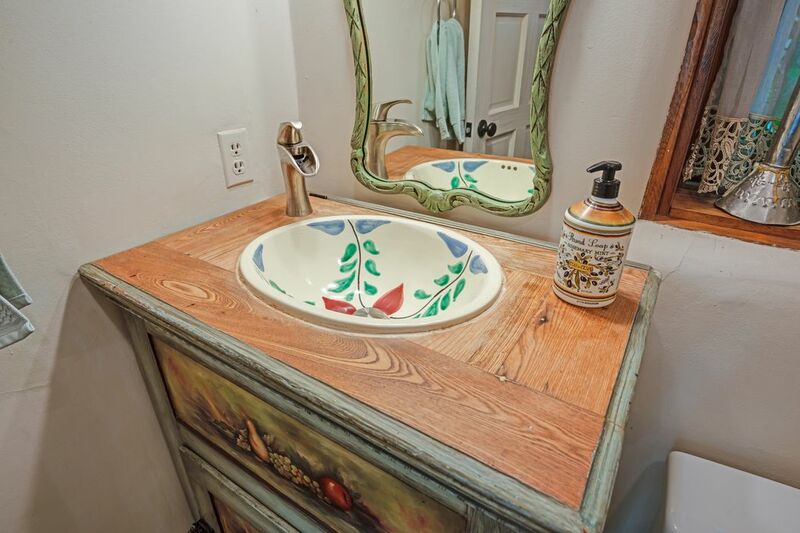 Llano Compound is a wonderfully private setting up just a short walk to the Santa Fe Plaza and the famous Canyon Road with beautiful galleries and fine restaurants. 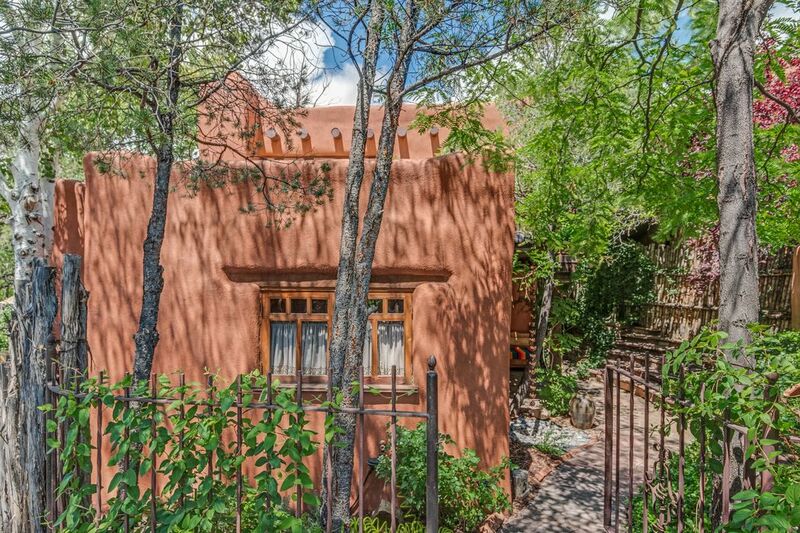 815 Palace #22 features one bedroom (other sleeping could be accommodated with a sleeper sofa because there is a full bath downstairs) with two upgraded full bathrooms, two Kiva Fireplaces and is two story with a circular stair case. 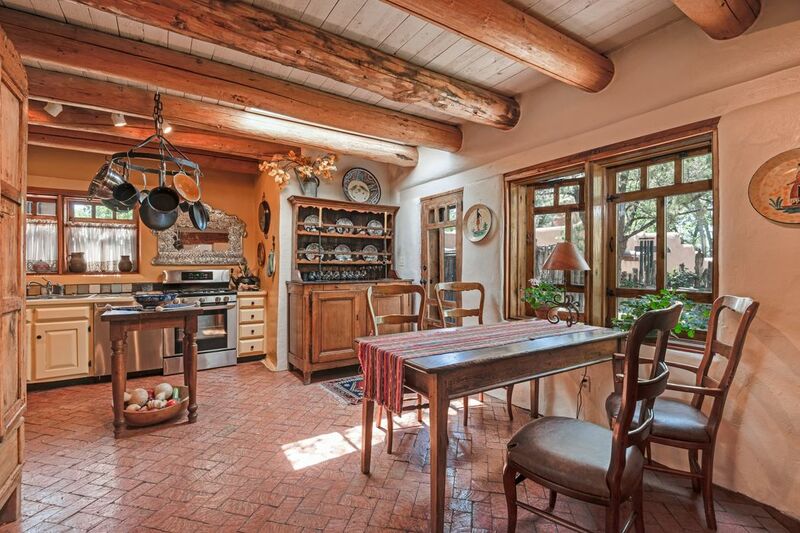 There is brick flooring in the living room, dining room and Kitchen. 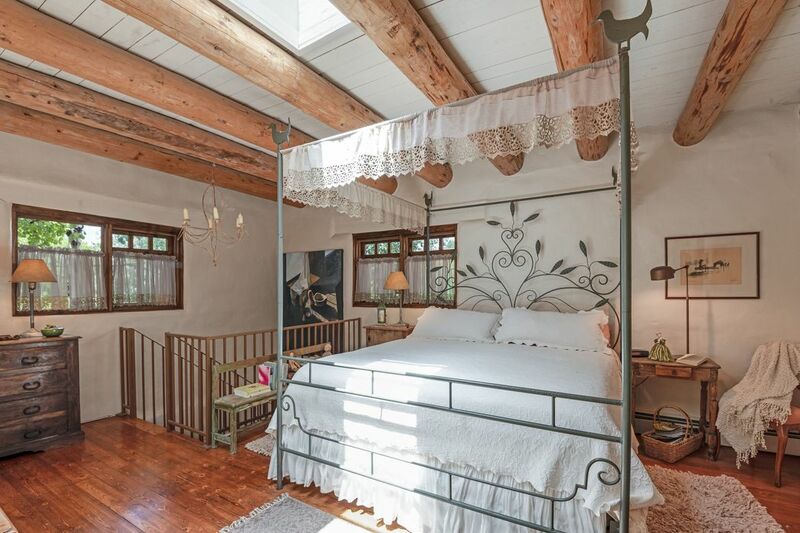 In the master bedroom the flooring is wood. 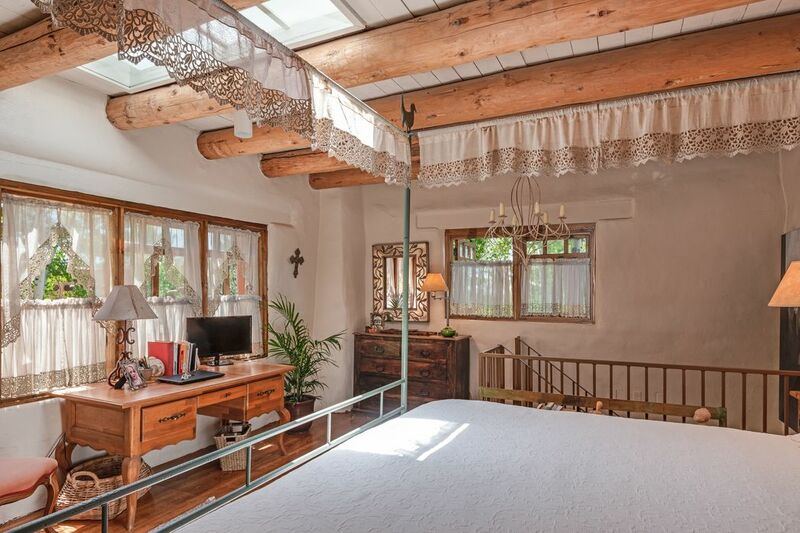 Everywhere Vigas and beamed ceilings. 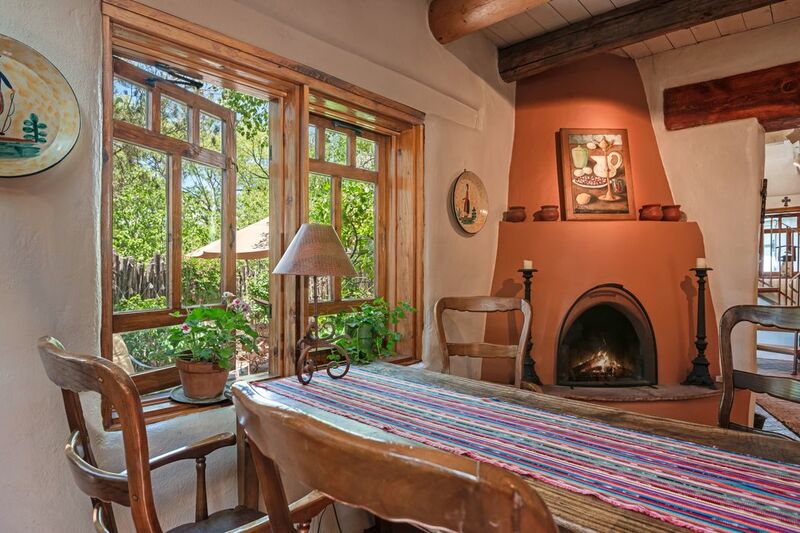 The divided light windows are hand crafted as is all the wood in the Llano Compound. 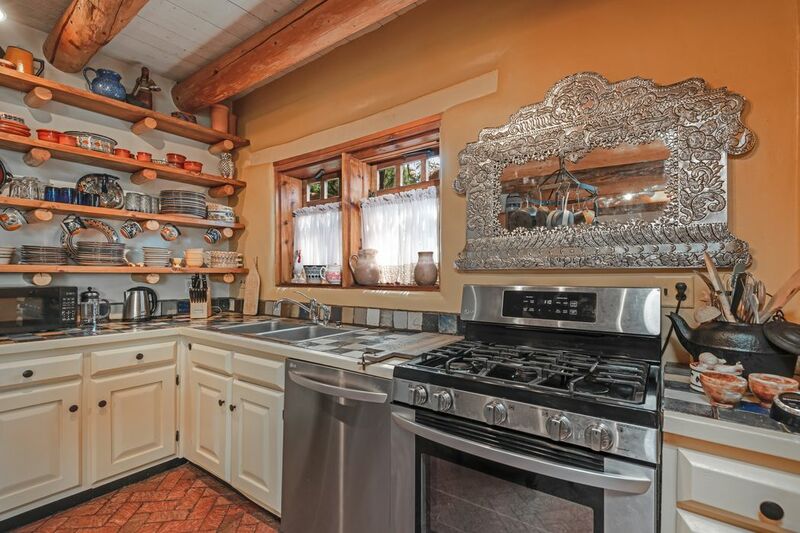 The kitchen has been updated with all new appliances, cabinets as well as the open shelving to display your lovely dishes. 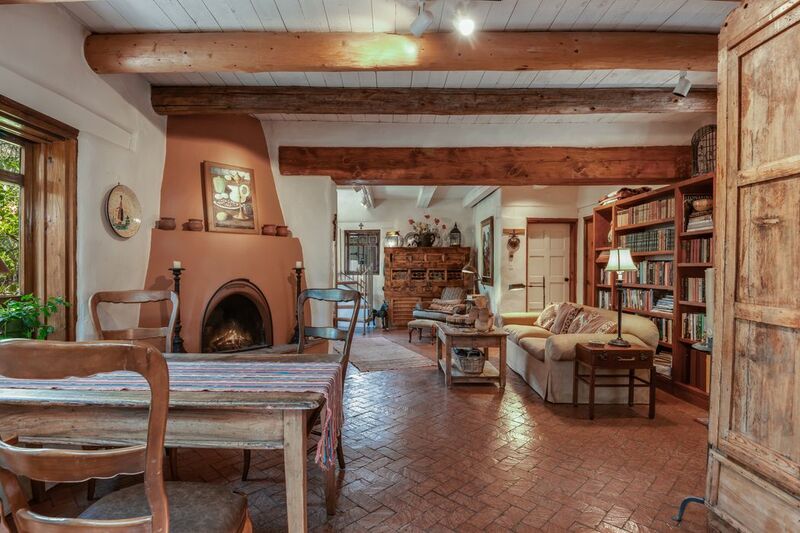 This would be a lovely Opera retreat. 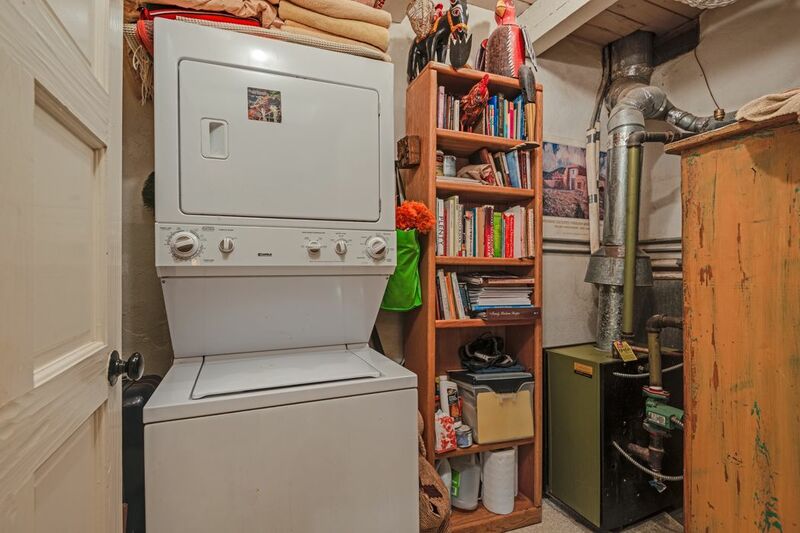 The Condo has a 5 years old roof.